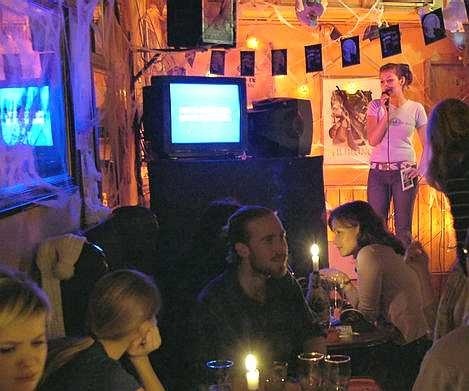 Karaoke is the hottest new form of entertainment in the USA today. Laser Karaoke is a laser video disc of the most popular songs from the 1950's through the 1990's played with an “MTV” video as background. You guessed it. You and your friends provide all the vocals to your favorite songs. Don’t worry all the words to the songs appear at the bottom of the TV monitor. They even light up when you are to sing to them.